Home » Bollywood News » Alia-Vicky's Raazi goes on floor. Alia-Vicky's Raazi goes on floor. 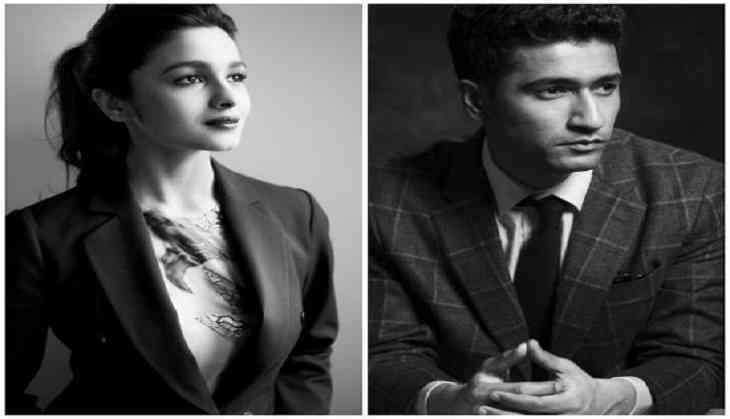 Alia Bhatt and Vicky Kaushal start shooting for Raazi. Raazi is being directed by Meghna Gulzar. Meghna's last film, Talvar was much appreciated. Karan Johar tweeted with the clap-board of the film. "The journey of Raazi begins today!!! All the best to all of us!! @meghnagulzar @dharmamovies @jungleepictures @aliaa08 @vickykaushal09." (Sic). The film is being produced by Junglee Pictures and Johar's Dharma productions. The film is said to be based on a book called Sehmat by Harinder S. Sikka. Alia will be seen playing a role of a Kashmiri woman who falls in love with a Pakistani army officer played by Vicky Kaushal. Produced by Karan Johar and Junglee pictures the film is set to hit the screens in 2018.